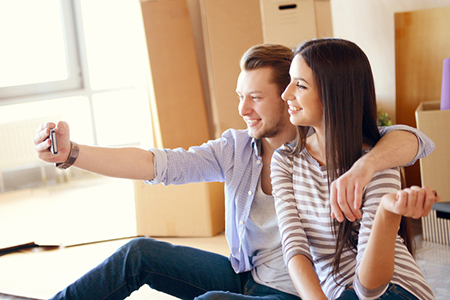 Where, Oh Where Are Millennials Buying Homes? We know that millennials aren’t entering the housing market at the rate their parents did. Between student loan debts and rising home prices, some have understandably cold feet—so cold that homeownership rates for those under 35 dropped from 40 percent in 2006 to 32 percent in 2015. Despite this, some millennials are still battling the sky-high rental market by becoming homeowners. The question is, where? Location matters. 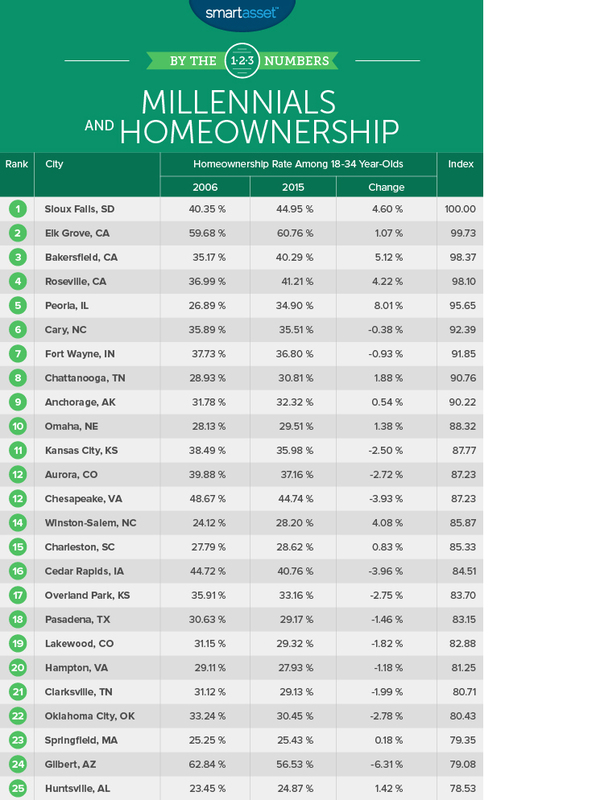 When looking at locations, the variance in homeownership for millennials is huge. In Elk Grove, Calif., for instance, millennial homeownership tops at 61 percent, while New Haven, Conn. locks in a measly 5 percent. Sacramento steals. Two smaller cities in the Sacramento Metro Area ranked in the top 5 places where millennials are buying homes, perhaps attributable to Sacramento’s strong STEM job market. All hail Illinois? Peoria, Ill. is becoming popular. From 2006-2015, Peoria’s under-35 homeownership rate jumped 8 percent, the highest increase in the SmartAsset study. Northeast falls behind. Springfield, Mass. is the only Northeast city to crack the top 25. Cities in this region tend to rank lower on the list. 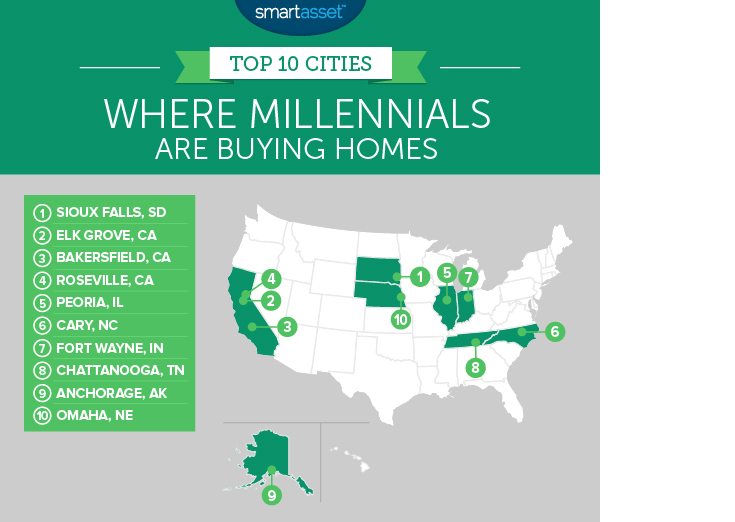 So where exactly are millennials buying? Here’s a fun little infographic to break it down for ya.